At SUPPO we recognise that our all of the business has an impact on people and the planet, in particular people’s working conditions, as well as the environment, both locally and globally. We also strongly believe that we can do the right thing while being a good manufacturer. This is a pre-condition to our future growth that will be achieved along with our customers and suppliers that share our vision and ambition. What is in the best interest of the environment? Through these principles we support the direction described in Lithplus Sustainability Strategy--- “People & Planet Positive”. Principles of Rights at Work, ILO declration June 1998 and the Ten Principles of the UN Global Compact 2000.SUPPO recognises the fundamental principles of Human Rights, as defined by the “Universal Declaration of Human Rights” (United Nations 1948) and adheres to the United Nations sanction list and European Union restrictive measures list. national laws or regulations, the law shall always be complied with and prevail. keys to its sustainable implementation. It is on this basis that we begin the relationships and through continued respect of these values that it will grow.It is important that all SUPPO co-Workersand external business partners understand the SUPPO position on corruption and its prevention. This has been established in SUPPO’s approach on anti-corruption. This has been communicated to all business partners via vendor letters, which are signed by all Suppliers. She promoted the use of the word MOTTAINAI as international expression to protect environment. We are listing waste, we are eliminating waste, we are reducing waste, we love and cherish the earth. Waste is any activity that adds no value to the product or service. 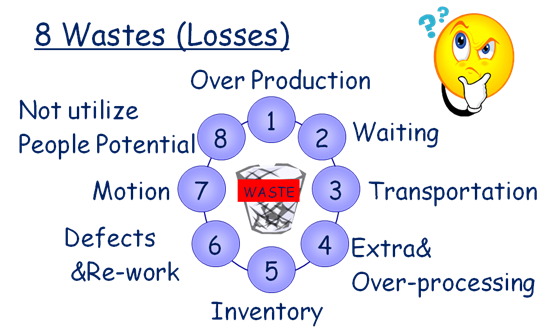 We need to do root cause analysis to eliminate the source of the waste. Copyright © 2003-2014 Union Suppo Battery (Liaoning) Co., Ltd., All Rights Reserved.